Mom strikes again! 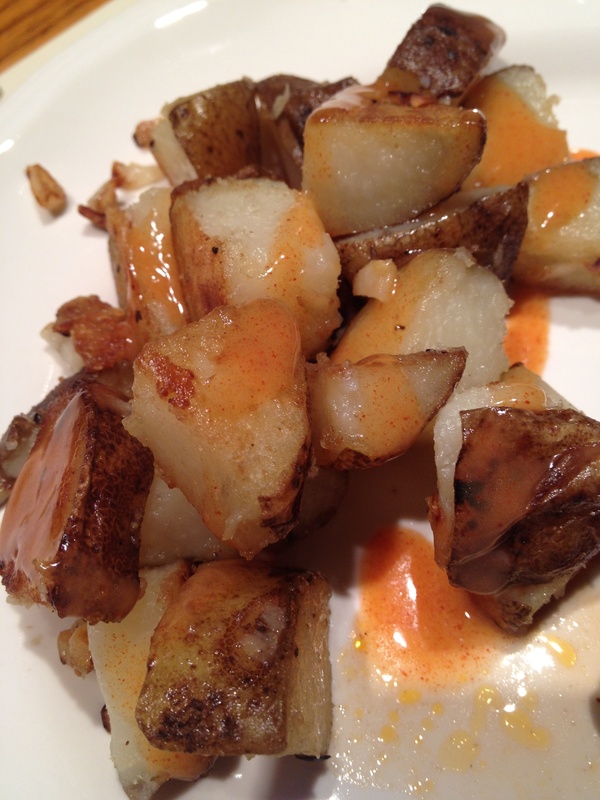 She found this great aioli recipe (in “For Cod and Country” by Barton Seaver) that is deep, smokey, and delicious. Beyond flavor, I like how universal it is. We served it over crispy garlic potatoes at dinner one night, and over hash brown potatoes the next morning at breakfast. I could also see this dressing over grilled chicken or as a dipping sauce for hearty veggies. Be creative! Whisk together the egg yolk, vinegar, garlic, paprika, orange juice, salt until well combined. Slowly pour in the oil while whisking, so that it is incorporated in a steady stream. This will ensure the oil is mixed in thoroughly and won’t separate. The sauce will thicken. Refrigerate until ready to use, and bring to room temperature when serving. Last week I ventured out to my local farmer’s market to support my local community. I bought a few tomatoes, zucchini, and some strawberries. This week, the zucchinis were looking a little sad, so I made fried zucchini sticks… crusted in pecans… and dipped in homemade lemon aioli. Super delicious combination! Cut the zucchini into sticks, about a half inch wide and two inches long. Put the egg whites and pecan meal into separate bowls. When the oil starts to simmer, dip each zucchini stick into the egg whites and then the pecan meal. Then drop it into the oil. Do about 6-7 sticks at a time, let them simmer in the oil about 10 seconds, then take them out with a slotted spoon and let cool on a paper towel. Repeat with another 6-7 sticks. You might want to use new oil halfway through because it starts to get dark, personal preference. When all the zucchini are fried, make the aioli. Combine the mayo, garlic, lemon juice, lemon zest, and salt and pepper in a bowl. Stir to combine. 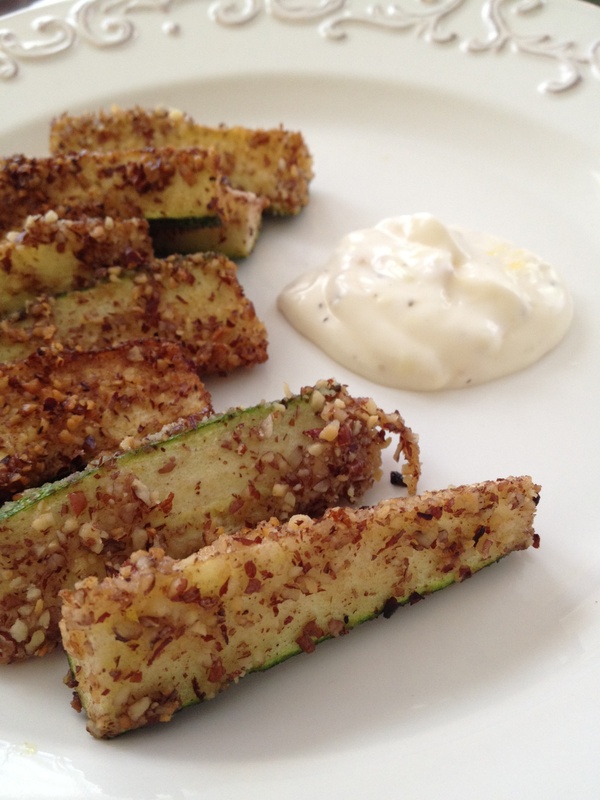 Serve the zucchini hot with the aioli dipping sauce.